LinkedIn has updated its user profiles today with a brand new look and some new features. 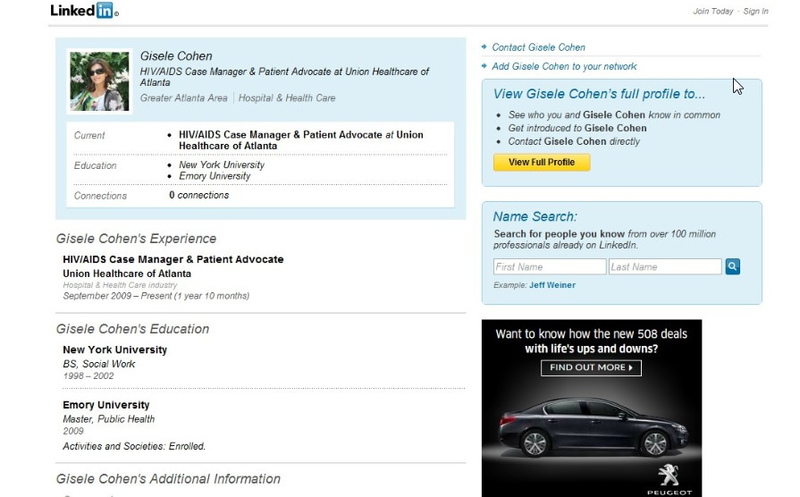 Among the changes are a redesigned profile, a checklist to help you set up your profile and PDF downloading of profiles. The new look seems to be live for everyone now so you should be able to see it on your own profile. One of the additions is an updated checklist tool that gives you reminders about the various features of LinkedIn and the steps that you need to take to fill out your profile. The new checklist is presented as a small Post-it note on the right side, as seen below. 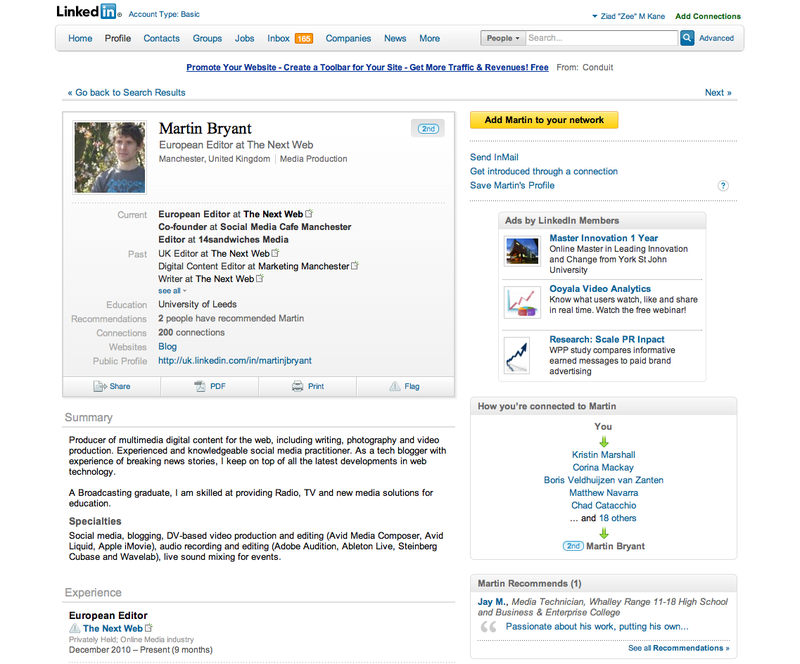 You’re also able to download public profiles as PDF’s, creating a sort of offline resume out of your LinkedIn profile. This should make it easier to share the information contained in your profile along with a portfolio or to hand it off at an interview. This should also be useful for recruiters looking to compile a list of potentials. The new look presents information on a more monochromatic page with distinct drop shadows on the panes, but feels a bit more crowded to us. It seems that, although the layout is more visually appealing, it makes it a bit harder to read. 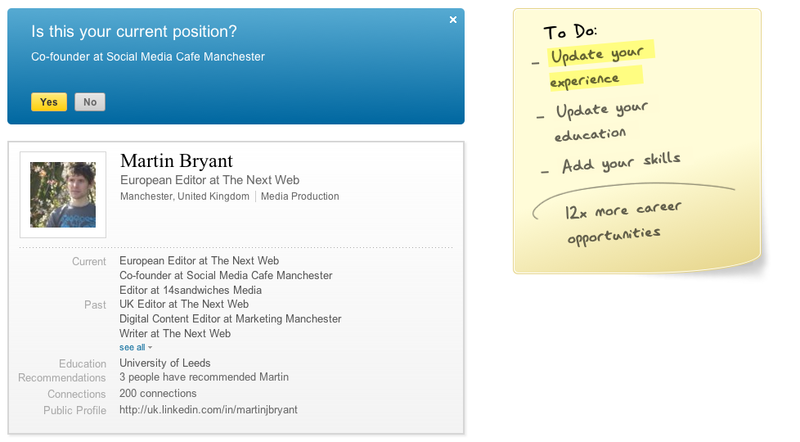 There seem to be a variety of other small tweaks in the design and layout of LinkedIn profiles as well. If you’re a heavy LinkedIn user, what changes have you spotted? Thanks to Matt Navarra for the tip.